Fisherman's oasis on a budget! This great, one bedroom condominium is now available in Fall Creek! 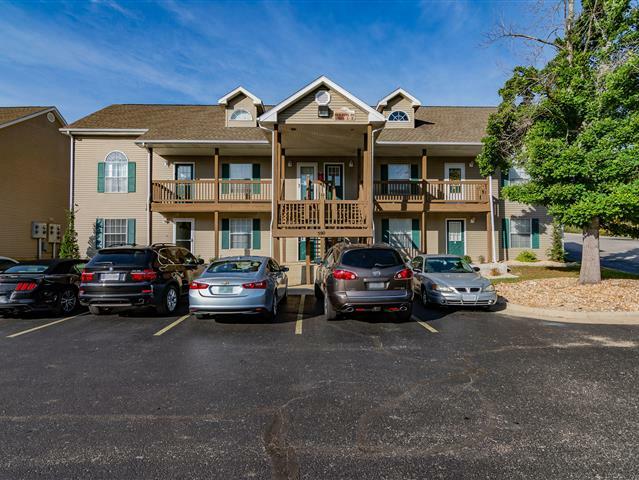 Located within a short walk to the banks of Lake Taneycomo, this condo is an excellent location for vacationers and fishing enthusiasts alike. The condo is on the lower level (4 steps to get to the unit) and rests at the edge of the property allowing views of green space and trees. The kitchen boasts FULL SIZE black appliances as well as updated counter tops, sink and cabinet pulls. Whether you are looking for a weekend retreat, income-producing vacation rental, or a permanent, low-maintenance home - this is the one for you!